Homepage / Fish / How am I Supposed to Feed My Fish? How am I Supposed to Feed My Fish? They are adorable, ornamented with beauty without equal the aquarium, but require specific care. Extremely sensitive, fish need, in addition to attention as to water, temperature, ph, etc., care of the food. Precisely because they do not complain that they are hungry, it becomes a real mystery for the creators to discover the ideal amount offered. Although there is no magic formula that applies to 100% of the species, the most common and effective hint is to feed the animal two to three times a day. The appropriate quantity must be the one that the fish consume in less than three minutes. This means that after that time if you still have food in the aquarium, the owner should decrease the amount you are offering. This is because animals should not be fed until they appear satisfied. Contrary to what many imagine, in nature, fish are adapted to spend most of the day hungry, looking for small pieces of food. That is precisely why it is considered a mistake to overfeed them. It is worth remembering that although this tactic works well for beginners and community aquariums, the creations of a single species, breeding, and hospital require a more careful and specific approach. In this case, only a veterinarian or specialist can indicate the optimum amount of food. 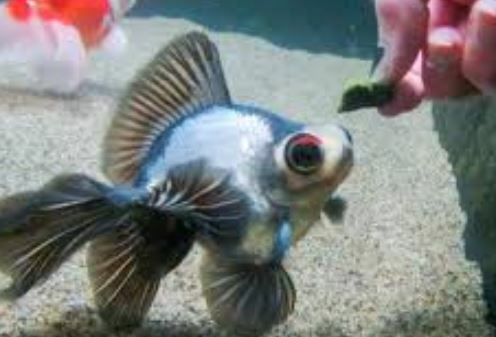 As a general rule, the creator should keep in mind that it is easier to weaken or even kill a fish due to excess feeding (because it spoils the aquarium water) than to make them starve. There are aquarists, including, who advocate fasting one day a week, because the process can cleanse the organism of the animal.